What is our relationship to animals, language and writing in a time of mass extinction? Are animals talking to us? How is writing adapting to dramatic environmental change? Readings and conversation with writers Nicholas Royle and Alex Lockwood plus optional vegan dinner. Nicholas Royle has been Professor of English at the University of Sussex since 1999. He established the MA/PhD programme in Creative and Critical Writing in 2001 and is founding director of the Centre for Creative and Critical Thought. His first novel, Quilt, was published in 2010. 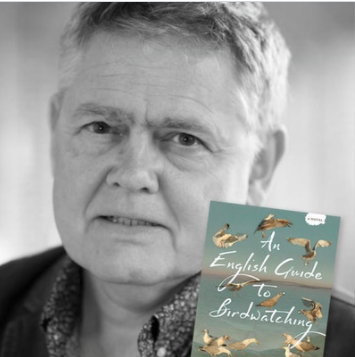 Dazzling in its linguistic playfulness and formal invention, An English Guide to Birdwatching explores the rich hinterland between fact and fiction. In its focus on birds, climate change, the banking crisis, social justice and human migration, it is intensely relevant to wider political concerns; in its mischievous wit and wordplay, it pushes the boundaries of what a novel might be. Alex Lockwood is a writer and senior lecturer in the Centre for Research in Media and Cultural Studies at the University of Sunderland. Alex has a PhD in Creative Writing from Newcastle University, exploring self-identity, psychoanalysis and affect. Pig in Thin Air is a searingly honest account of how he came to terms with his destructive habits and changed his relationship with his own body, Alex Lockwood writer, educator, and activist working in the fields of literature, creative writing, media, and the environment critically explores the relationship of the body to animal activism and the relationship of both to our changing climate. The Beacon will be opening the kitchen and a vegan dinner will be available to purchase on the night after readings/conversation. Arrive 6pm for 6:30pm start.